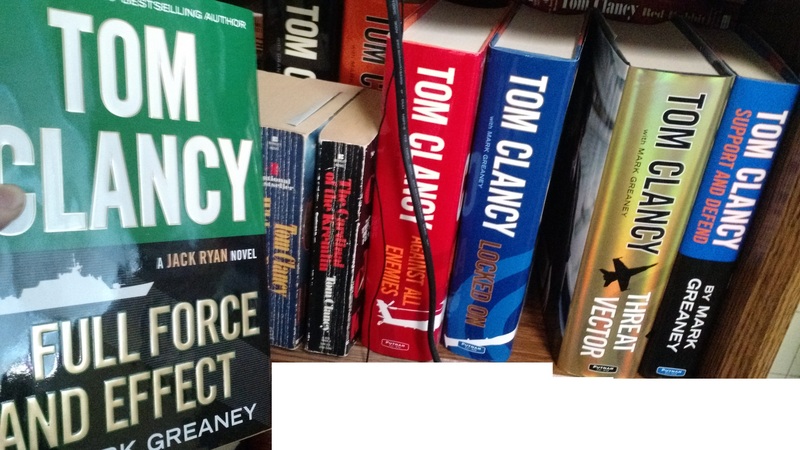 I have been a fan of Tom Clancy’s Jack Ryan (Ryanverse) series since I was old enough to read these books. I inherited some of the books from my siblings as hand me downs…until I started collecting the ones I’d missed, as well as the new ones, and now have the full 17-book series, with the following picture being two rows and multiple stacks deep. Since Clancy’s passing, Mark Greaney has taken over all the Ryanverse novels (and now the spin-off Campus books as well), after working with him on some of the later novels. While some books since Day 1 have been dry and very boring (I’m looking at you Hunt For Red October) others in the series have been incredible (with my personal favorite book (not just in this series, but in general) Rainbow Six). 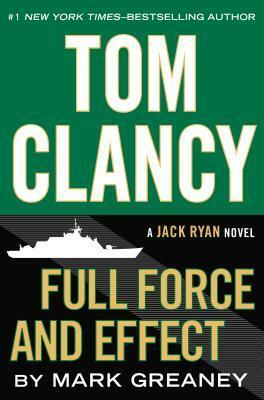 And this latest book, Full Force and Effect easily makes it’s way up the list of 17, probably in the top 5 overall. With lots of the typical Tom Clancy style of over-detailing that these books have been known for, mixed with the right amount of action, and lots of both Jack Ryans, it brings the series back to what it is good at: American covert operations, lots of HUMINT (Human Intelligence), and lets not forget the modern day cyber and technological hacks. This is a great read for any Clancy fan, and anyone who is looking for a good book will enjoy this one (granted they’d be missing a LOT of back story and hidden relationships). Easily, this book is a 9.5 out of 10.